I felt as if I was pretty healthy in the beginning of my life. I had mononucleosis as a teenager, though, and think I’ve never recovered from that. Even though I was an athlete and considered healthy by most people who knew me, I always had this underlying exhaustion. I spent lots of time sleeping. I was OK as long as I got about 10 hours of sleep a night or more. It wasn’t until my 30s when I could not recover after a night’s sleep. I was a park ranger and got lots of tick bites but never really got sick from them. At one point, though, I did not recover from the last tick bite. I was misdiagnosed for four years, even though I knew I had Lyme disease. My health went downhill really fast. It got to the point where I needed to sleep about 16 to 18 hours a day and still felt exhausted. I was in so much pain that I could not see myself going on another day at times. I could barely make it through my workday and, some days, could not find my way home from work because I was in so much pain and suffering from major brain fog. I finally ended up losing my job and spent so much time in bed, it didn’t seem like life is worth living. 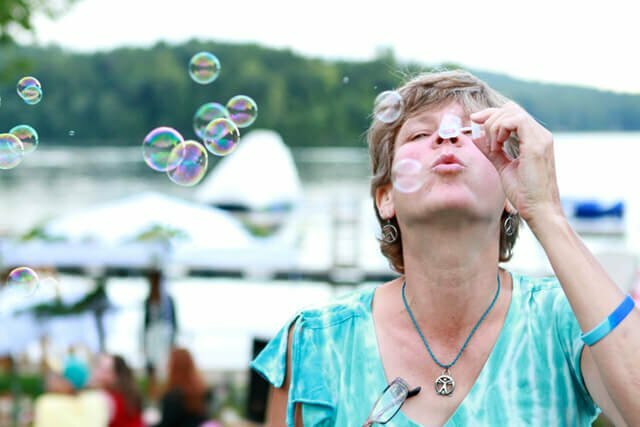 Itsy Sweeney practices deep breathing at the 2014 Woodstock Fruit Festival. I went from doctor to doctor to try to find someone who could help me to function enough to take care of our apartment and cat. I was lucky enough to have a husband who knew who I was before I got sick. I know some people aren’t so lucky. It’s hard to explain how you feel when you look fine. One doctor told me that I just have to get used to this type of life. 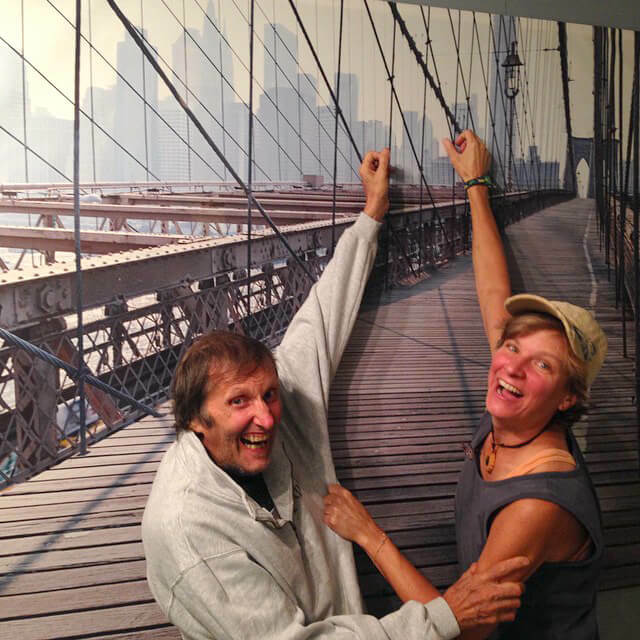 At the time, he called my condition fibromyalgia before I was diagnosed with Lyme disease. He offered me more medications to try—the side effects were horrendous for the ones I’d already tried. I felt lost and knew there had to be a better way. I went to a bookstore and found lots of books on fibromyalgia. I got a lot of really good information in these books, which started me on my journey to health. I found out really quickly that I have to be my own advocate and that nobody can do this for me. I learned a new trade as a massage therapist, even though, at the time, I could barely stand more than 10 minutes! I wanted to learn how to heal not just myself but others who are in chronic pain. I’ve read hundreds of books on natural health to get answers to all my questions. After much research, I became a vegetarian and then a vegan, then I decided it’s time to eat mostly raw food. As my diet got better, my physical body got better, and my mind and my emotions became more balanced. The better I felt, the more I wanted to know how to keep this going! Itsy learned culinary skills at Sprout Raw Food. I then attended Clayton College and graduated with a bachelor’s degree in natural health. I went to school to learn hypnosis, which has helped me tremendously in my journey. 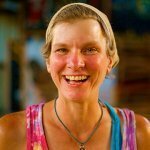 As my journey continued and I started to find the answers to my questions, I earned a certification in raw food nutritional science and as a culinary chef from Sprout Raw Food in Roswell, Georgia. Now it seems as though the illness that I’ve had has brought me to a better place. 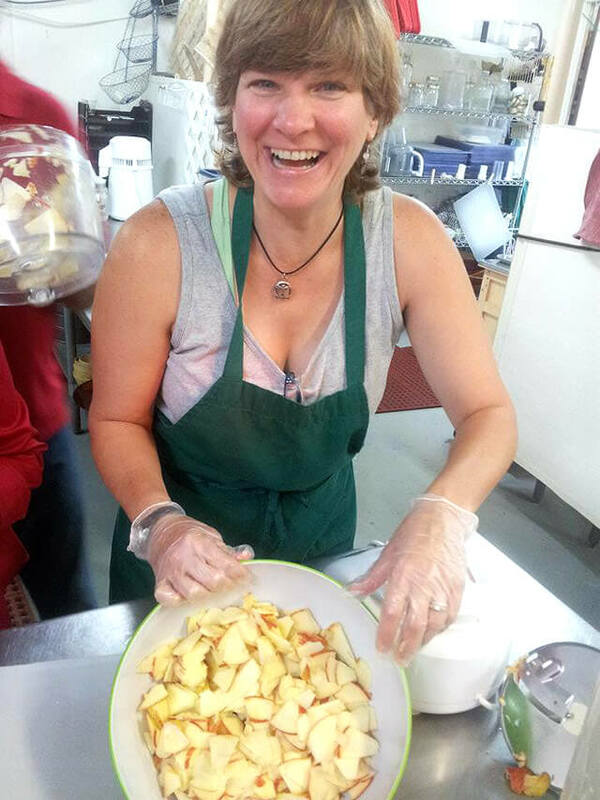 Not only can I help myself, but I have the tools to help others get healthy. I found my passion, which I may have never found without being as sick as I was. Blessings come in many forms. The first annual Pennsylvania Fruit Festival was created by Itsy Sweeney and Chef Alicia Ojeda to promote a raw vegan lifestyle. “The reason I am so passionate about this lifestyle is because it has changed my life tremendously,” Itsy said. 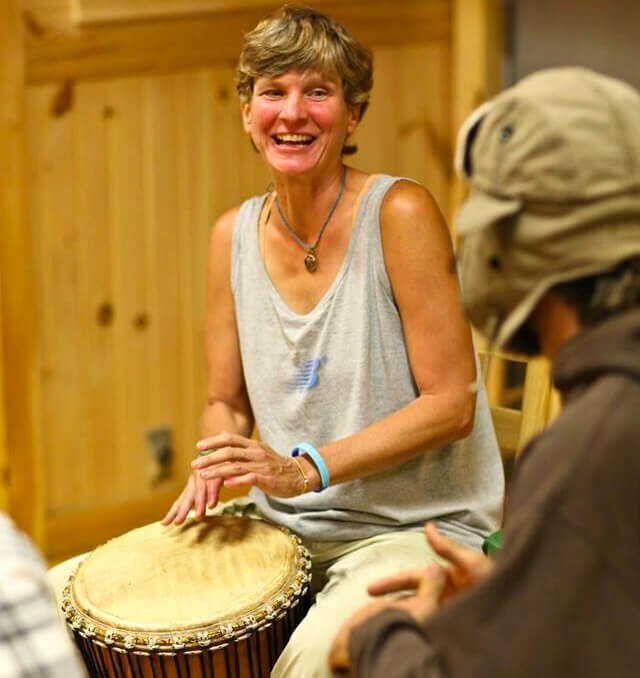 “I’ve had so much fun at the last three Woodstock Fruit Festivals and have made so many wonderful and lasting connections with like-minded people. 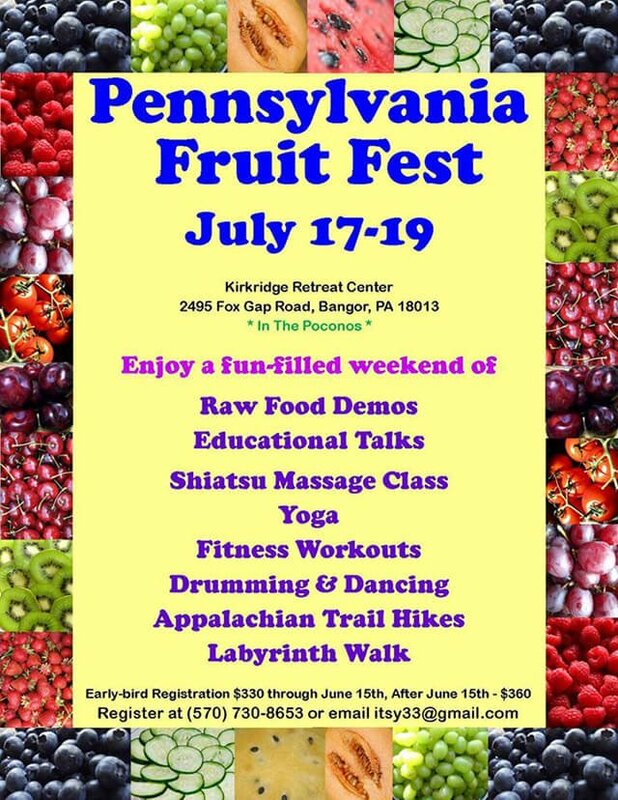 We are modeling the Pennsylvania fruit festival to be very much like the Woodstock Fruit festival, to give others a chance to experience true connections, learning, good food and lots of fun. I would never be in this awakened state, which I think I am in, if I had not been on the exact journey that I was and still am! I still have some symptoms remaining from Lyme disease that show their ugly faces once in a while, but I have the tools to take care of myself better than I ever have. I have to say I feel my best when I am eating all or mostly raw low-fat vegan foods. There is a lot more to health than just foods, but I believe that what you put into your body is one of the most important factors in one’s health. My focus in life at this time is not so much about keeping myself out of pain and finding energy but helping others who may be dealing with the same issues that once plagued me. Itsy Sweeney goofs off with Arnold Kauffman, owner of Arnold’s Way. 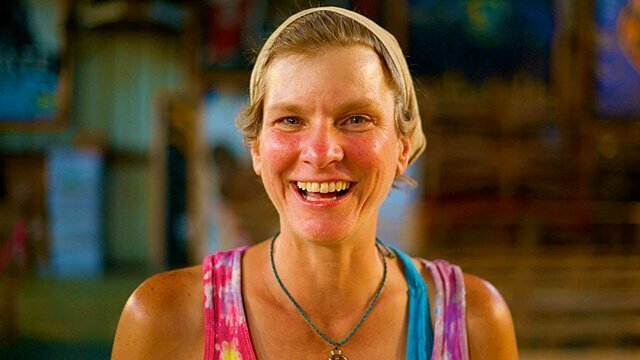 Discover Itsy Sweeney’s Top 8 Tips for a content body and mind! Hungry for more? 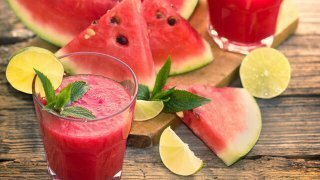 Check out Itsy’s recipe for The Most Refreshing Summer Drink Ever! Itsy Sweeney is a holistic health practitioner, licensed massage therapist, and certified hypnotherapist. Itsy is also a professional raw food chef. 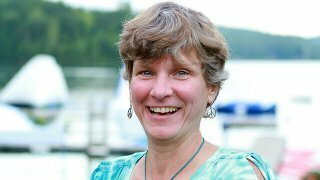 Itsy’s deep understanding of human anatomy, body systems and function of the body, combined with common sense and decision-making abilities, make her a knowledgeable and confident practitioner. Itsy is a dynamic and passionate speaker.